Eastbound traffic continues to be restricted to ONE LANE along Interstate 24 on the Tennessee River Bridge at the 30 mile marker at the Marshall-Livingston County Line in Kentucky due to an issue with a joint on the bridge deck. This eastbound work zone lane restriction has been in place since May 17th while a contractor has been fabricating new joints for the bridge. The contractor is nearing completion of the fabrication process and is preparing to ramp up joint installation work on the bridge starting Monday, October 1, 2018. Motorists should be alert for increased activity in this work zone. Starting Monday, the contractor plans to restrict both eastbound and westbound traffic to one lane to allow crews to work in both directions at the same time. Motorists traveling I-24 both eastbound and westbound should be prepared to encounter slowing and merging traffic as they approach the 30 mile marker. Initially, all eastbound and westbound traffic will move to the left-hand or passing lane in this work zone. The contractor will be adding a barrier wall to the work zone for the safety of workers and motorists. To reduce the potential for delays from backups during peak travel periods, eastbound and westbound motorists on I-24 may choose to self-detour around this work zone via US 62 and KY 453 between I-24 Exit 27 at Calvert City and I-24 Exit 31 at Grand Rivers. A few weeks into the project, the contractor will require full closures of the I-24 Tennessee River Bridge from time to time to allow high-strength concrete to be poured around new joint sections as they are installed. 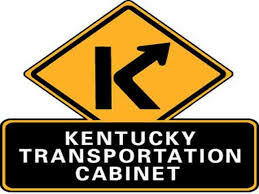 The contractor and Kentucky Transportation Cabinet will provide timely advance notice to the public when the timeline for those closures firms up. American Contracting & Services of Jeffersonville, IN, is the prime contractor on this $1.1 Million bridge joint replacement project. The contract has a November 15, 2018, target completion date. The Interstate 24 Tennessee River Bridges are twin tied arch suspension bridges at mile point 29.352 at the Marshall-Livingston County Line. The 2,017 ft. bridges with a 534 ft. main span are also known as the Luther Draffen Bridge. The bridges opened to traffic in 1974. The structure carries approximately 30,000 vehicles across the Tennessee River in an average day. Timely traffic advisories for the 12 counties of KYTC Highway District 1 are available by going to www.facebook.com/kytcdistrict1. You do not have to be a Facebook member to access this page.